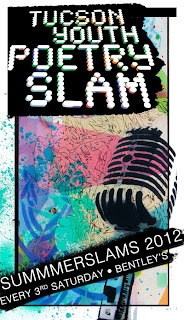 Join the Tucson Youth Poetry Slam for ¡SummerSlams!, our summertime series. Youth hosts & youth workshop leaders, fun prizes & themes. Jun 16 – Cover slam! Compete using anyone’s poetry or your own. We’re going to Brave New Voices!